UpRising Yoga could not exist without the Volunteer Yoga Teachers. Every week we are able to share the gift of yoga's healing and mindful meditation with incarcerated boys and girls, as well as adults in underserved communities. Dee Anna connected with yoga over 12 years ago. Through practicing various styles of yoga including Vinyasa flow and Kundalini, she found a source of healing in her life as well as a deepening awareness of self. 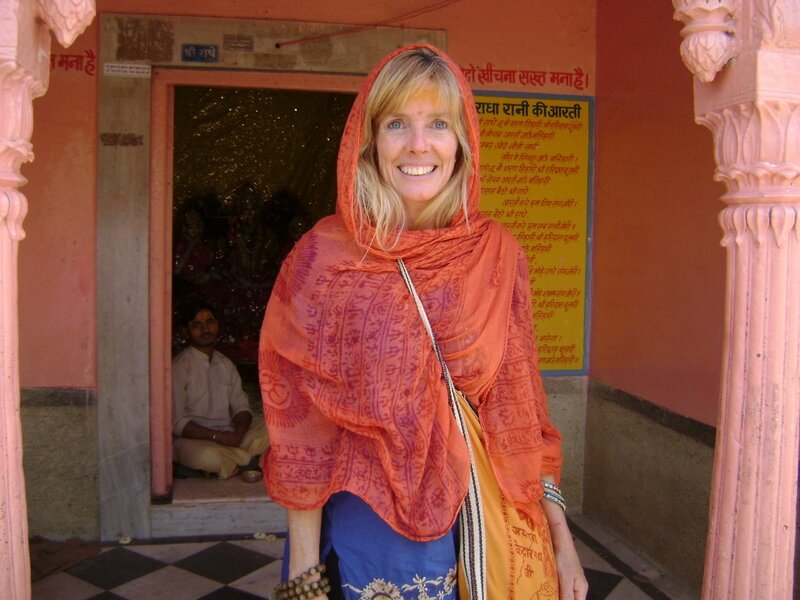 In 2014, she completed her 200-Hour certification at Shiva Yoga Peeth in Rishikesh, India. That year she also received certifications from Prison Yoga Project and UpRising Yoga to teach Yoga, Mindfulness, Meditation and Life Skills to incarcerated adults and youth as well as to at-risk communities. Dee Anna is passionate about working with this special population, sharing the gift of yoga and her journey of how yoga changed her life. Yoga is a source of balance, self-care and above all, an awareness to mind-body connection for her. 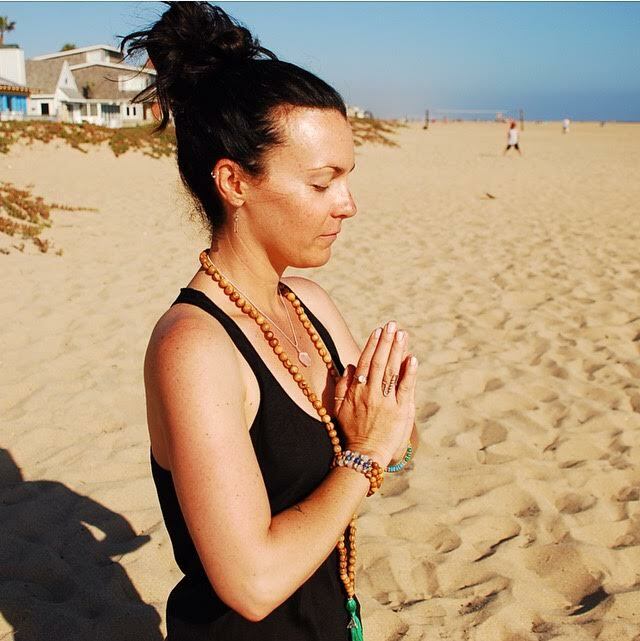 She infuses pranayama & meditation in her vinyasa flow classes. Sarit Z. Rogers delved fully into her yoga practice after an injury, discovering that she was able to heal through deep, somatic, contemplative movement. What she didn’t expect but was inspired to experience was the ability to heal the emotional traumas that lay within. With over 20 years in recovery, Sarit appreciates the reparative nature of a consistent yoga practice in recovery. Yoga is like medicine – it is a modality that allows the practitioner to move through their difficulties with pause and sensitivity, applying what is necessary to heal the wounds within. Sarit teaches a trauma sensitive hatha-vinyasa flow, which encourages her students to begin to self-regulate, pause and reflect, and ultimately develop a practice of self-care. 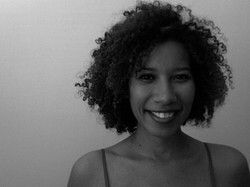 Sarit is also a Los Angeles based photographer, writer, and founder of the LoveMore Movement. 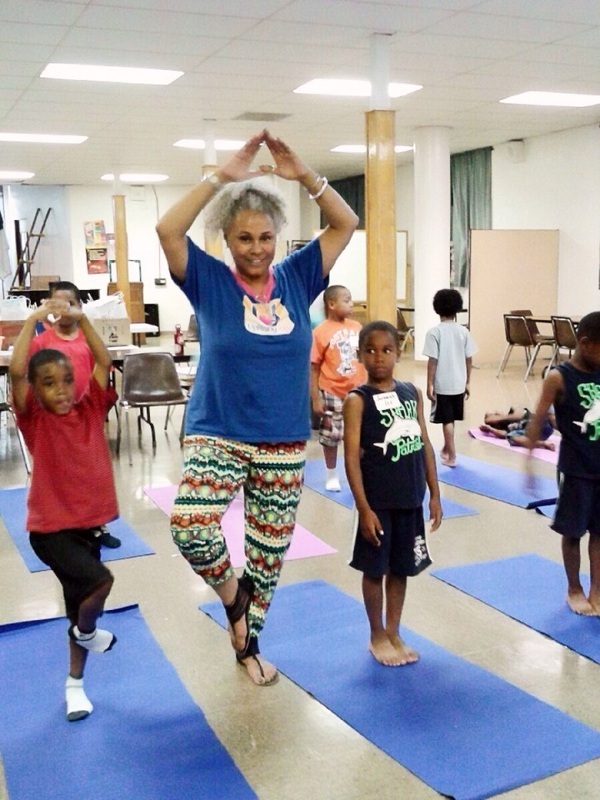 Sarit also teaches yoga to a wild bunch of teens and tweens at the City Charter School and City High School. That Mind-Body-Spirit connection is what drives Ursula's love for teaching yoga. A personal practice is incredibly important, but Ursula equally loves the energy that's created when a group comes together and shares the magic. After years of running in circles, climbing political & social ladders, Ursula crashed and began to rely on outside elements for stress-relief, inner-peace, and self-medication. Reaching a breaking point, and realizing the need for something different - something real - Ursula gratefully discovered that yoga offered her serenity and emotional balance, as well as physical challenge and expression. Ursula finds it a blessing to now live a life that is 100% present, and helping & encouraging others is what brings her ultimate joy. “Keep coming back.” And I did. Now I teach! I received a teaching certificate from Bhakti Yoga Shala. I am also a certified kundalini yoga teacher. I have taken James Fox prison yoga teacher training and the Uprising Yoga teacher training. Part of being a teacher is learning, so I travel to India once a year and study under many different teachers (one is 104 yrs young). Service is part of my yoga practice, and I am thrilled to be a part of The Uprising Team because that's what we do. We serve the communities that might not have access to yoga. Inspired by the work she was doing in a UCLA research lab, Kelly was motivated to learn more about the beneficial effects of yoga in at-risk populations. After meeting Jill at a Prison Yoga Project training, Kelly moved to India, where she studied yoga therapy and got certified as a 500 hr RYT. Upon her return, Kelly jumped in, teaching yoga to recovering addicts and alcoholics, to a unit of incarcerated women at Twin Towers Correctional Facility, and with Uprising Yoga at Central Juvenile Hall as well as various community classes. Kelly is now a special education teacher with LAUSD, where she introduces the practice of yoga into her classroom on a daily basis. 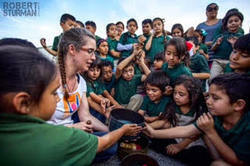 She also regularly teaches mindfulness with UpRising Yoga at Extera Public Schools, an after-school program in Boyle Heights. Robin is a Yoga Alliance Certified Teacher with additional certifications in Trauma-Informed (URY), Pre-Natal and Kids Yoga. Although Robin’s personal practice began when she was fourteen years old, her journey as a Yoga Instructor began in 2010. “I am naturally drawn to connect with others beyond the "surface stuff". Deep down we are all the same. We all have fears, but we all have so much love - which is much more powerful. Yoga and meditation have the ability to allow practitioners to open up and connect with themselves - and with others - on a very profound level. When you witness and experience the healing of yoga you can’t help but want to share this with others." Robin currently teaches Yoga for P.E. 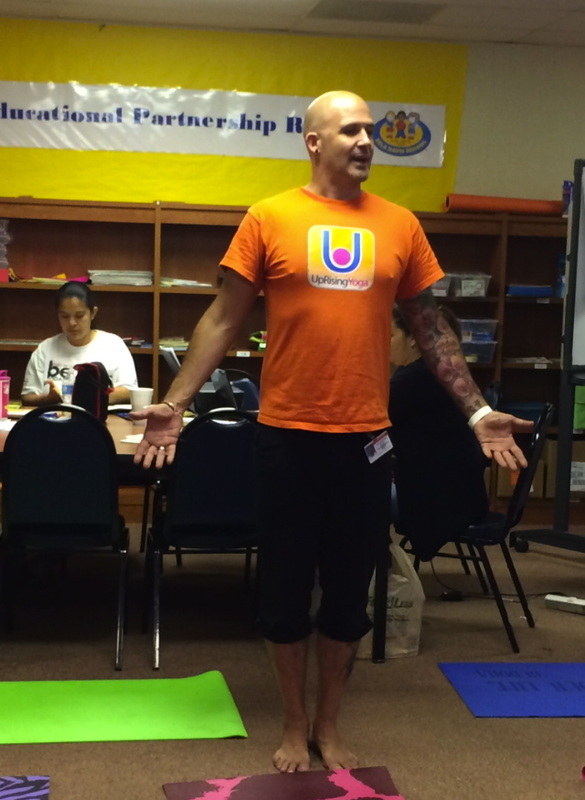 at a local elementary school, teaches privately, volunteers for local organizations implementing yoga and meditation and is a proud URYoga Teacher!